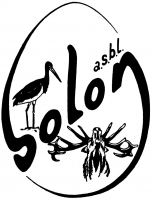 Solon has an in-depth knowledge of ecosystems in general, and of the Walloon forest ecosystem in particular. The knowledge acquired is disseminated for the purposes of maintaining, protecting and improving the management of this heritage. In practice, Solon essentially sees itself as a link, often the only link, between various groups affected by forest management (foresters, hunters, owners and naturalists) and as an intermediary when it comes to the less well informed general public.